Children are naturally curious. In fact, children are capable of understanding science, technology, engineering, and math (STEM) subjects before they’re even a year old. But, like other concepts, STEM skills need to be intentionally developed as a child grows. Children are capable of complex thinking skills prior to being able to speak, but different types of play are critical to develop skills related to STEM fields. These skills include questioning, analysis, and curiosity. Unfortunately, many children in the U.S. aren’t getting the play and stimulation they need to develop these critical skills. Up to 40% of American children aren’t ready for kindergarten and only 34% of kids in Grade 4 were proficient in science on the National Assessment of Educational Progress. These numbers don’t reflect the child’s interest in learning. According to the National Research Council, children have developed their own ideas about the social, biological, and physical worlds and how they work before they enter school. Educators, including teachers and parents, can develop these ideas by taking the child’s thoughts seriously,listening to the child, and building on what they already know and are able to do. But why is it important to get your child interested in STEM in the first place? Isn’t it enough for a child to goto school and learn about STEM fields in class? STEM is an acronym that stands for Science, Technology, Engineering, and Mathematics. Although your child learns about science and mathematics in school, STEM isn’t a single educational program or subject. General STEM subjects are often included throughout your child’s school curriculum, but programs inengineering and technology are lacking. It may not be until middle or high school that your child learns about engineering and technology. Researchers say that an early education in mathematics and other STEM fields can improve a child’s learning abilities and narrow the gaps between children’s educational achievements. By making STEM interesting to a child at a young age, you can improve their chances of greater success later in life. Since 1990, employment in STEM fields has jumped from 9.7 million to 17.3 million, or 79%. And, compared to non-STEM occupations, those in STEM occupations earn up to 26% more on average. Unfortunately, adults may curb or even crush the enthusiasm a child has for exploring STEM fields. This is often done in one or more of three ways including fear, disapproval, and absence. When a child is afraid of new things, they’ll stay in their comfort zone and be unwilling to explore the world around them. This effectively crushes their curiosity. Disapproval such as biases and attitudes can also keep a child from exploring and developing STEM skills. In fact, disapproval is one of the top reasons why there are so few women in male-dominated areas of STEM. Only 14% of those in the field of engineering and only 15% of those in computer science are women. Compare these numbers to the 47% of those in life science and 75% of those in healthcare that are women. Because these areas of study are often lead by men, girls are often pushed to stop developing STEM skills and to turn to other areas. Even those who don’t receive disapproval may be affected the absence of an invested and caring adult or role model. A caring adult provides a sense of safety to the child to explore new things. It also gives them the ability to share their discoveries, thereby giving them the positive reinforcement they need to continue making those kinds of discoveries. How can you be a caring adult to your child and cultivate their curiosity and other skills that would get them interested in STEM? One of the best things about getting your child interested in science is that there are many different kinds of activities you can do together that are not only fun but also simple. Here are a few activities you can do with your child to get them invested in science from a young age: Explore the great outdoors. You don’t need to be a fan of camping to teach your child about the great outdoors. Kids love to explore and you can find plenty of things to teach them about right in your own backyard. From grass to water, soil to rocks, there are plenty of natural materials they can learn about. Give your child four ways to play. There are four different types of play that can help to boost your child’s science skills. These include pretend play, exploratory play, guided play, and free play. Pretend play is when your child uses their imagination and exploratory play is when your child can experiment and take things apart. Guided play is when you, an adult, interact with your child, and free play is when an adult isn’t involved. Technology activities are activities that help children learn how to use technology to solve problems. They teach kids how to use technology for logical and helpful reasons rather than just to socialize and have fun. These activities can include weather technology, science equipment, computers, and more. You can help your child learn more about technology and how they can use it in the following ways: Cut out shapes with scissors. There are several shapes drawn on a piece of paper. How can your child get these shapes out? By carefully using a pair of children’s scissors, your child can learn how to use technology to cut out different shapes from the paper. Build a house of cards. By building a house of cards, your child can learn about what holds the cards up (friction) and why they might slip or fall. You can also conduct experiments with the cards. For instance, would using baby powder on the cardsincrease or reduce friction? Sprinkle baby powder over the cards to see how it changes your ability to stack them. Try adding small weights like coins, too. Play logic games. Fun brain teasers, puzzles, and logic games can help your child develop greater problem solving skills. They’re learning about different ways to solveproblems, both physically and mentally, which can help them develop solutions to similar problems later in life and in other activities. Take a picture of a block structure and have your child replicate it. This is a visual exercise in technology where your child uses replication. They’re able to look at thestructure in the picture, analyze it, and determine which blocks go where to problem solve and build the structure themselves. Create a scavenger hunt with a map. Kids like scavenger hunts, but you can makethe game that much more educational by using a map. Your child can learn how to usethe map to find different locations, where the objects are relative to their spot, and how to get to them. Your child has learned how to use technology to solve problems, but now it’s time they learn about why that technology solves their problem. Engineering is crucial to teach your child at a young age because they won’t be exposed to it until their later years in school when their interest in STEM may have already been crushed. Here are a few ways you can get your child into the interesting and entertaining world of engineering: Teach them about levers and pulleys. Levers and pulleys are some of the first things you’ll learn about engineering as a child. They’re also some of the most simple types of engineering projects to make and learn about. Consider introducing your child to gears, wheels, and pulleys. Then make a pulley system with your child using string and a spool.One of your child’s smaller toys can be used as a weight. Plan and design a structure with blocks. In the previous section, we mentioned an activity where your child looked at a picture of a block structure and replicated it using their own blocks. Now, have your child design their own structure on a piece of paper with the blocks they have. Using their own instructions, have your child build the structure they’ve designed. Build a ramp. Like building with blocks, help your child design a small ramp structure for one of their toys. This works best for small remote control cars. With a ramp, you can not only design and build the structure but you can also determine which heights and angles work best for the ramp. Many children don’t like math when they get older. This is often because mathematics can be challenging. Unfortunately, math’s difficulty can often cause children to become frustrated and believe they’re not good at the subject even if their grades are fair. You can help to curb this frustration and make math more manageable using certain activities to stimulate their problem solving skills. Here are a few math-centric activitiesto give your child’s skills a boost. Baking. Concepts are always more fun when you can see the end result. Through baking, you can teach your child the importance of counting and using the right measurements of certain ingredients to bake a cake, cupcakes, or cookies. Pretend play with monetary value. Pretend play is great for math activities. Have your child pretend to be a cashier or a waiter/waitress and you pretend to be a buying customer.Have certain objects set up for the game with specified prices. Your child can then sell anitem to you and give you change or add the prices together. Play addition and subtraction games while waiting. Oftentimes, your child will want to play a game with you in the car or while you’re waiting for food at a restaurant. Rather thanplaying the classic I-Spy, consider playing an addition and subtraction game. Take turns soyour child feels on equal ground with you in terms of problem solving. Not only will this helpyour child with their own math skills, but it can also keep your mind sharp as well. You never know when your child will ask a hard question! It’s never too late or too early to help your child discover a love for STEM. The earlier you encourage your child to embrace their natural curiosity and wonder about the world, the easier it will be to create a positive attitude about STEM and forge their foundational skillsfor future STEM success. You can keep your child involved in STEM by engaging them in everyday STEM activities like cooking, buying food, building with legos, and more. Do fun experiments, go exploring,and visit museums that encourage your child to learn and grow. Whether or not your child decides to go into a STEM career later in their life, they can use the problem solving skills and techniques they learn through STEM activities and conceptsin every aspect of their lives. After all, the goal of STEM isn’t to push your child toward any one career but to get them ready for the future lives they want to lead. A great way to start is to get a bookshelf for your child’s room. If they have access to their own collection of books, it’ll be easy for them to read at their own pace. And if they’re looking at the shelf everyday, reading will always be on their mind. It’s also important to give your kids a comfortable place to sit. This can be anything from a rocking chair to a couch to a dedicated reading nook. If they have a space that’s just for them, it makes reading time all the more special. As they grow, your young ones will start to read more challenging books with words they don’t know. Encourage them to look up unfamiliar terms in the dictionary so they can expand their vocabulary. Finally, if you’re having trouble getting your kid interested in books in the first place, try bridging the gap between visual media and literature with graphic novels. No genre can capture the imagination quite like fantasy, where readers are invited to envision impossible worlds, daring heroes, and strange creatures living in the land of myth and legend. There’s a reason why so many speculative stories spellbind young readers with their tales of misfits, outcasts, and kids with untapped stores of tremendous bravery. For young readers on the lookout for adventure, here, in no particular order, are some stunningly imaginative books that will bring out the magic in everyday life. In the #1 spot is “Charis: Journey to Pandora’s Jar” by Nicole Y. Walters. Charis has been waiting all her life for a chance to show her stuff. Now, it’s up to the hyper-imaginative thirteen-year-old to save the world by visiting Pandora’s Jar, the place where demons and kind spirits dwell. The catch? She’s only got five days to release the spirit of Hope from the jar before mankind is officially doomed forever. With the help of a few trusty deities and her best friend Gabe, Charis has to summon up all her courage to set things right. At #2, we have Diane Mae Robinson’s “Sir Princess Petra.” Even Princesses get bored of being pampered sometimes. In this series, nine-year-old Petra decides that she wants to become a knight. But even though she’s got courage and cunning to spare, knighthood comes with its own set of pressures and obstacles, like having to silence a dragon and visit the spooky Forest of Doom. If she can overcome a few kooky quests, she’ll find her true place in the kingdom. At #3 is “The Hob and the Deerman” by Pat Walsh. Crowfield Abbey is a peculiar place. It’s a portal, of sorts, between the world we know and the Otherworld, a place where demons, boggarts, and all kinds of creatures freely roam. When Walter, a “hob” spirit, returns to find everything in disarray, he knows he needs to take action to help put all the troubled spirits in the abbey to rest. But it will take a lot of help, and a lot of courage, to cross paths with the Deerman of the forest and live to tell the tale. At #4 is Tomi Ungerer’s “Fog Island.” No one ever returns from Fog Island. It’s a place shrouded in mystery, a place that Finn and Cara have been warned against visiting. But when the two siblings disobey their father and head for the far-off island, they’re in for more than they bargained for. Is the ancient place just a pile of ruins? Or is there a deeper mystery lurking, something that only the mercurial Fog Man can unlock? For #5 we have “There May Be a Castle” by Piers Torday. Eleven-year-old Mouse knows he shouldn’t have survived the car crash when he was thrown from the vehicle during a Christmas Eve drive to his grandparents’ house. He woke totally fine, but in a world he barely recognized. With the help of a magical sheep and a sardonic talking horse, he’ll need to find his way to the castle if he wants to regain entry to his own life. That is, if this place everyone speaks of is more than the stuff of legend. Coming in at #6 is Clayton Smith’s “Mabel Gray and the Wizard Who Swallowed the Sun.” The people of Brightsbane have had a rough time ever since the eternal night started. After a wizard took away the daytime from the land, he decided he needed to come back to steal a book of magic spells that holds the key to the township’s total destruction. Luckily, a spirited orphan named Mabel is going to set things right. If she can summon up the courage to deal with a series of fantastical creatures and hair-raising quests, she might find a way to break her hometown’s terrible curse forever. At #7 is Heather Mackey’s “Dreamwood.” Runaway Lucy has a fair amount of experience with supernatural forces. Her father is an expert on the subject, and she’s on a quest to find him and bring him back so she doesn’t have to go to that dreadful boarding school anymore. The problem is, her father isn’t where she thought he’d be. Could it be that the enchanted forest of Dreamwood proved too powerful a match for him? There’s only one way to find out: by heading into the heart of the living grove, no matter the consequences. Coming in at #8 is “The Secret Life of Daisy Fitzjohn” by Tania Unsworth. Some might call Daisy’s life unusual: her best friends are a talking rat and a ghost, and she lives in an old estate that’s slowly falling apart. When her mother leaves on a strange expedition and doesn’t return, Daisy knows she can’t hide within the walls of Brightwood Hall any longer. She’ll have to do what it takes to save her home and keep her family together, with only the help of her eclectic sidekicks to guide her. At #9 we find Pseudonymous Bosch’s “Bad Magic.” Clay knows there’s no such thing as magic. He’s seen a million sleight-of-hand shows and he knows they’re just tricks. That said, there are a few things happening at Earth Ranch that he can’t explain. Clay was supposed to be sent to the rehabilitation camp to be “scared straight.” But there’s more at work here than a few obstacle courses and hikes. For one thing, he’s having conversations with llamas. For another, he may or may not have just seen a ghost. If there’s magic on Earth Ranch, Clay needs to make sure it’s not the deadly kind. If he can make it off the volcanic island without causing an explosion, he’ll count himself lucky. Finally, at #10, is “The Mad Wolf’s Daughter” by Diane Magras. When Drest’s family of male warriors is taken captive, she finds herself in a unique position. All her life, her father and brothers took care of her. Now, she’s got to free her kin with the help of a witch, a soft-spoken knight, and her own fierce courage. With a mysterious bandit out to get her and her sense of independence growing by the day, Drest will find herself taking chances, slaying personal demons, and doing things she never dreamed herself capable of. Enter the Rafflecopter here: http://www.rafflecopter.com/rafl/display/5762dc7e14/? Acronym: a word formed from the first letter or first few letters of each word in a phrase or title and sometimes pronounced as a word. NASA is pronounced as a word and is the acronym for National Aeronautics and Space Administration. FBI is pronounced by its letters and is an acronym for Federal Bureau of Investigation. Alliteration: A group of words that all begin with the same sound. Peter Piper picked a peck of pepper pickles. Antonym: a word with a meaning that is opposite to the meaning of another word. Love is the antonym of hate. Happy is the antonym of sad. Euphemism: a milder word or expression substituted for one considered to be too harsh or blunt when referring to something unpleasant or embarrassing. Spinning tales can be an euphemism for lying. Homonyms: a word that is said or spelled the same way as another word but has a different meaning. Write, right, and rite are homonyms. Duck (noun) and duck (verb) are homonyms. Metaphor: a word or phrase that is used as a symbol to make a direct comparison between two people, animals, things, places, or a combination of any two of these. A metaphor makes a stronger statement than a simile does by stating something “is” something else. The king is a dragon today. Oxymoron: A phrase composed of two words with contradictory meanings. Jumbo shrimp. Act naturally. Original copy. Pun: A play on words that relies on a word’s having more than one meaning or sounding like another word. Simile: a figure of speech in which two un-similar things or people are compared by using “like” or “as” to connect the comparison. The knight was as brave as a panther. The dragon danced like a feather in the wind. Synonyms: a word that has the same meaning as another word. Big, large, huge, and giant are synonyms. Small, miniature, little, and tiny are synonyms. Personification: a figure of speech in which a something non-human is given a human quality. The non-human objects are portrayed in such a way that we feel they have the ability to act like human beings. The unicorn sang in triumph. Flowers danced in the breeze. Want to have some grammar fun? 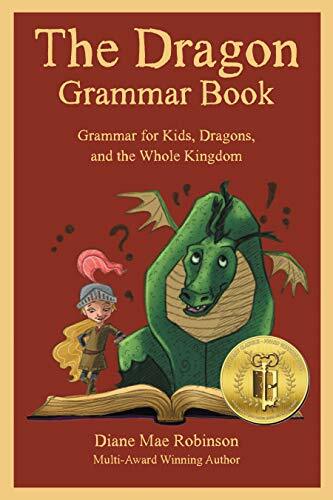 The Dragon Grammar Book, for middle grades and up. An Amazon.com Bestseller in Language Arts Books. The Writers’ Union of Canada (TWUC) is pleased to launch its 26th Annual Short Prose Competition for Emerging Writers, which invites Canadian writers to submit a piece of fiction or nonfiction of up to 2,500 words. A $2,500 prize will be awarded to the winner, and the entries of the winner and finalists will be submitted to three Canadian magazines for consideration. The deadline for entries is February 15, 2019. Pamela Mordecai is the author of over thirty books including textbooks, children’s books, six collections of poetry, a reference work on Jamaica (with her husband, Martin), and a collection of short fiction. Her novel Red Jacket was shortlisted for the Rogers Writers’ Trust Fiction Award. A prolific anthologist, she has been a teacher, a trainer of teachers, an editor, and a publisher. The Competition is open to Canadian citizens and residents who have had no more than one book published and who do not currently have a contract with a book publisher for a second book. Authors not published in book format are also eligible. Members of TWUC are not eligible to enter. The entry fee is $29 per submission, and submissions are accepted online until 11:59 p.m. Pacific Time on February 15, 2019. The winner will be announced in late spring 2019. 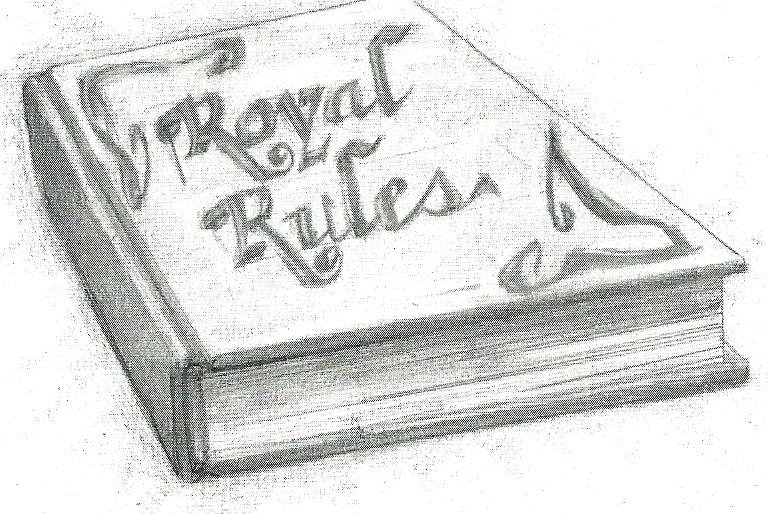 For complete rules and regulations, please go to www.writersunion.ca/short-prose-competition. The Writers’ Union of Canada is the national organization representing professional book authors. Founded in 1973, the Union is dedicated to fostering writing in Canada and promoting the rights, freedoms, and economic well-being of all writers. For more information, please visit www.writersunion.ca. in conjunction with the Great American Book Festival in the City of Presidents. About The Book: Ever feel like you’re standing on thin ice? Here at the northern most point on Earth, no land lies below. Are there seasons? Who lives here? What does Santa look like and where does he live? Uncover the answers in this newest release of the award-winning children’s nonfiction book series. What I Thought: Little Miss HISTORY Travels to The NORTH POLE is another delightful contribution to this award-winning educational series! Author Barbara Ann Mojica has created another hit as Little Miss History travels to the North Pole and reveals all kinds of amazing facts that even i didn’t know. Kids and adults alike will simply love the incredible color illustrations that are a part of this series. And the word glossary at the end of the book is an extra special feature. The Little Miss History series is the perfect combination of writing and illustrations that create this wonderful educational series. About the Author: Barbara Ann Mojica is a historian and retired educator. She writes historical articles for the Columbia Insider under the banner “Passages.” Using the whimsical Little Miss History character, Barbara hopes to inspire children to learn about historical people and places. Little Miss History’s antics make reading nonfiction a fun-filled adventure for all ages. Read more about the author. Multi-award winning children's book author. Sir Princess Petra series.